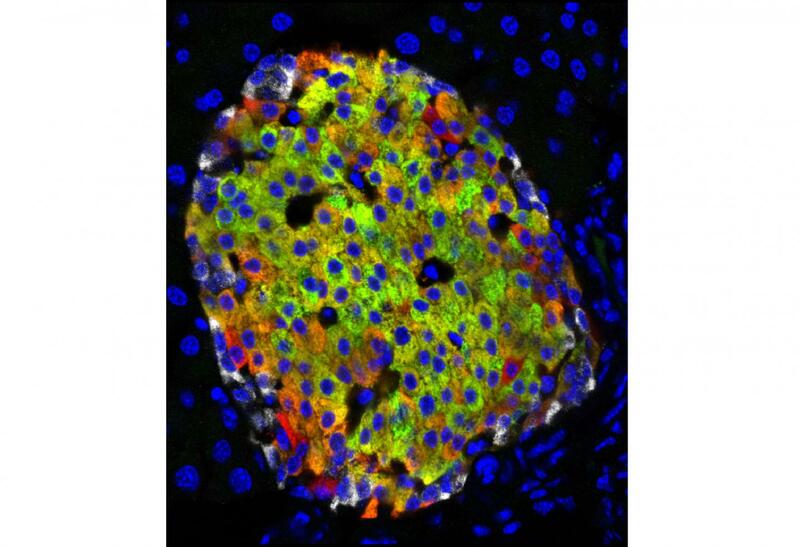 Insulin-producing cells produced from skin. 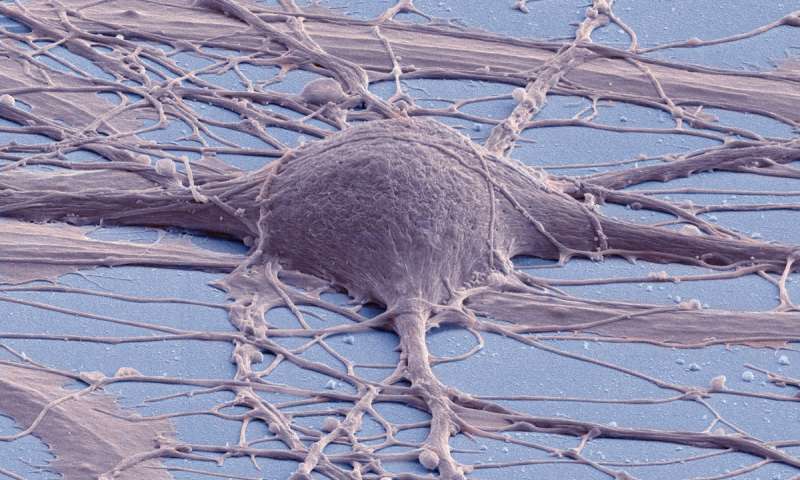 Starting with human skin cells a team at the University of Iowa has created iPS-type stem cells through genetic reprogramming and matured those stem cells into insulin-producing cells that successfully brought blood-sugar levels closer to normal when transplanted in mice. 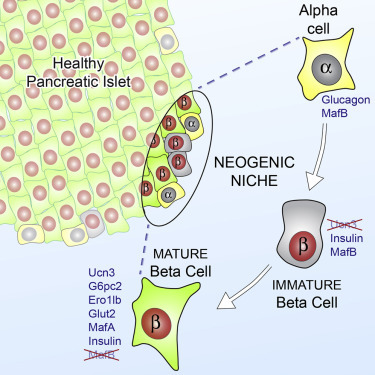 University of Iowa researchers reprogrammed human skin cells to create iPS cells, which were then differentiated in a stepwise fashion to create insulin-producing cells. 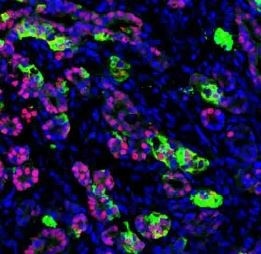 When these cells were transplanted into diabetic mice, the cells secreted insulin and reduced the blood sugar levels of the mice to normal or near-normal levels. 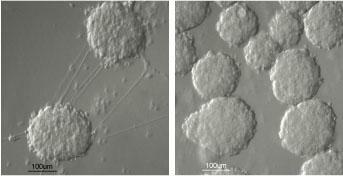 The image shows the insulin-producing cells (right) and precursor cells (left). 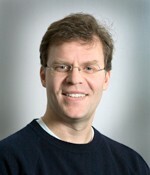 The cells did not completely restore blood-sugar levels to normal, but did point to the possibility of achieving that goal in the future, something the team leader Nicholas Zavazava noted in an article in the Des Moines Register, calling the work an “encouraging first step” toward a potential cure for diabetes. The Register discussed the possibility of making personalized cells that match the genetics of the patient and avoiding the need for immune suppression. 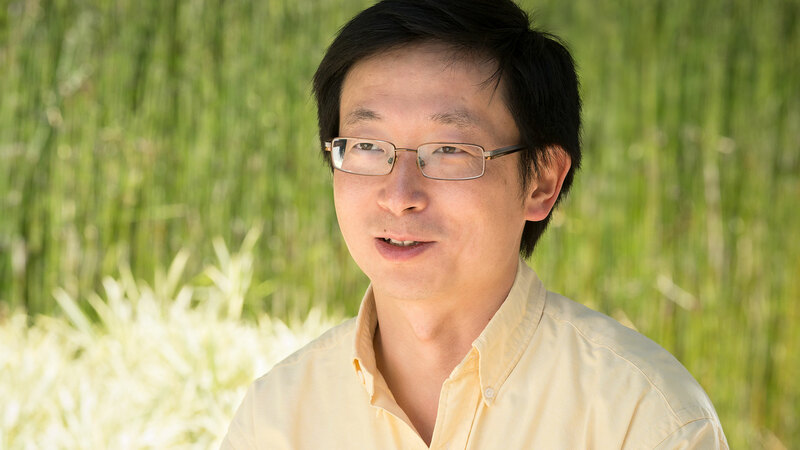 This has long been a goal with iPS cells, but increasingly the research community has turned to looking for options that would avoid immune rejection with donor cells that could be off-the-shelf and less expensive than making new cells for each patient. Heart cells from reprogramming work in mice. Like several other teams, a group in Japan created beating heart cells from iPS-type stem cells. But they went the additional step of growing them into sheets of heart muscle that when transplanted into mice integrated into the animals own heart and beat to the same rhythm. The team published the work in Cell Transplantation and the news agency AlianzaNews ran a story noting that it has previously been unclear if these cells would get in sync with the host heart muscle. The result provides hope this could be a route to repair hearts damaged by heart attack. Patient attitudes on donating tissue. A University of Michigan study suggests most folks don’t care how you use body tissue they donate for research if you ask them about research generically. But their attitudes change when you ask about specific research, with positive responses increasing for only one type of research: stem cell research. CIRM has begun building a bank of iPS-type stem cells made from tissue donated by people with one of 11 diseases. We went through a very detailed process to develop uniform informed consent forms to make sure the donors for our cell bank knew exactly how their cells could be used. Read more about the consent process here. Mainstream media start to question hockey legend’s miracle. Finally some healthy skepticism has arrived. Hockey legend Gordie Howe’s recovery from a pair of strokes just before the holidays was treated by the general media as a true Christmas miracle. The scientific press tried to layer the coverage with some questions of what we don’t know about his case but not the mainstream media. The one exception I saw was Brad Fikes in the San Diego Union Tribune who had to rely on a couple of scientists who were openly speaking out at the time. We wrote about their concerns then as well. Now two major outlets have raised questions in long pieces back-to-back yesterday and this morning. The Star in hockey-crazed Canada wrote the first piece and New York Magazine wrote today’s. Both raise serious questions about whether stem cells could have been the cause of Howe’s recovery and are valuable additions to the coverage.